What could be better than starting your day with laughter. 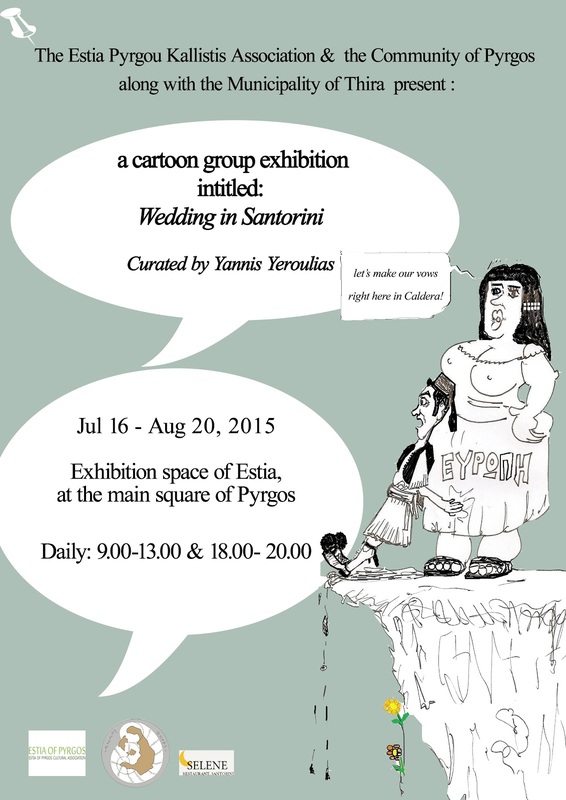 Go for a walk to Pyrgos village, at the exhibition space of Estia in the central square, and laugh with the cartoon group exhibition that begins today and is entitled “Wedding in Santorini!”. It has been organized by Estia Pyrgou Kallistis Association and the Community of Pyrgos along with the Municipality of Thira. The exhibition will last until 20 of August and the daily visiting hours are 09:00 – 13:00 & 18:00 – 20.00.